Shooting schedule allows time for actors to have a dramatic weight loss to become emaciated for their roles. 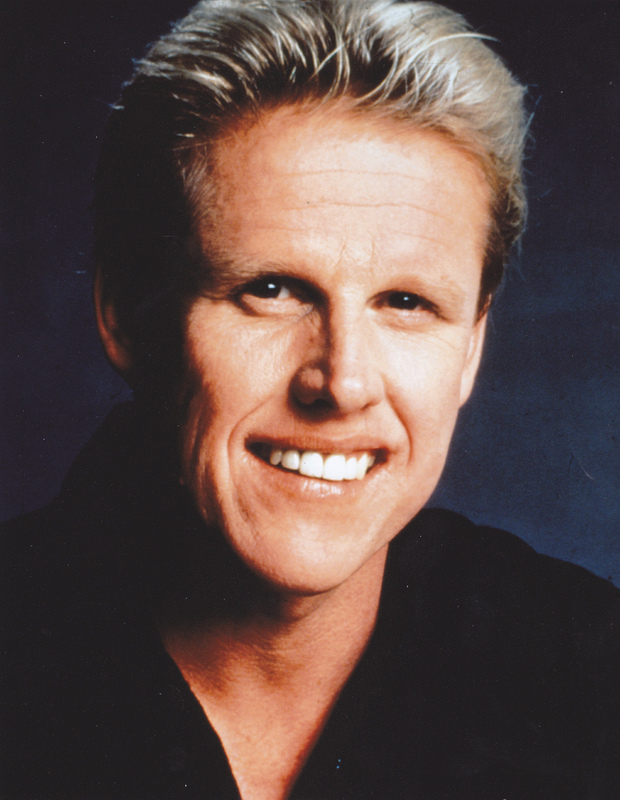 Busey’s character showcases his incredible humanity and dramatic talent. 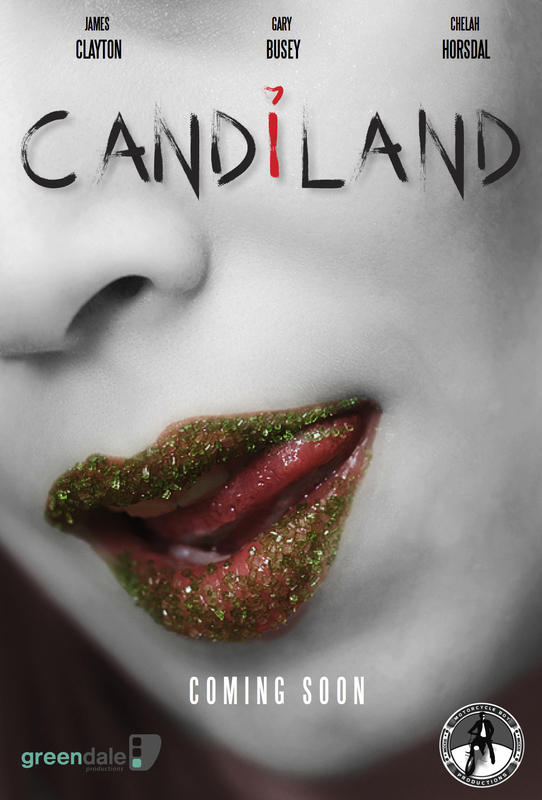 Motorcycle Boy Productions and Greendale Productions are pleased to announce the horror-thriller feature film CANDiLAND will be in production in Vancouver from April 13 to 20, 2014. Executive Producers are James Clayton (Down The Line), Blaine Anderson and Roseanne Milliken (Tucker & Dale vs Evil). Producers are Marc Petey (Down The Line) and Marena Dix. Screenplay is written and directed by Rusty Nixon and based on the novel Candyland by award winning novelist, Elizabeth Engstrom. Music supervision and original score is by Gemini Award Winner, Tim Hart. Academy Award Nominated Gary Busey (The Buddy Holly Story, Lethal Weapon, Point Break) plays Arnie, James Clayton’s (Down The Line, Fringe) character Peter’s alcoholic father. Leo Award Nominated Chelah Horsdal (Rise of the Planet of the Apes, Arrow, Hell on Wheels) plays Tess. The film is being shot in two blocks, nine weeks apart, to allow James Clayton and Chelah Horsdal the time needed for a dramatic weight loss – as their characters become emaciated after a year of isolation keeping true to the novel. Recently divorced and heartbroken, Tess finds herself abandoned at a bar on her girl’s night out. There she encounters the eccentric and rich Peter – a man cursed with the condition of heightened sensory perception and desperately searching for a moment’s peace. The two instantly fall in love and withdraw to Peter’s apartment for a lengthy and addicting love affair. Days of bliss pass by but when Tess realizes she should leave and resume her life, Peter proposes a dangerous idea – isolate each other in his apartment to create their own pure reality; one free of pain and the dictates of society. Now, cut off from the world and locked inside what Peter calls CANDiLAND, the lovers embark on a dogmatic quest for a higher existence. But slowly, they begin to descend into madness – turning the once lovers into mortal enemies. James Clayton is the Founder and President of Motorcycle Boy Productions established in 2012. James Clayton and Rusty Nixon’s first feature Down The Line, is a Sci-Fi Thriller about a struggling comedian played by James Clayton who stars and plays nine different characters trapped inside his mind and must fight alternate versions of himself to escape. Rusty Nixon wrote, directed, and edited the film. Down The Line is being distributed Worldwide by IndustryWorks Pictures in 2014. A labor of artistic love, Rusty and James have been working to bring CANDiLAND to production for the past 10 years. Producing partner Marc Petey is a founding member of the Co-Production company Greendale Productions. This entry was posted in Candiland and tagged actor, award winning, Blaine Anderson, blog, Canada, Candiland, director, Elizabeth Engstrom, entertainment, firm, Gary Busey, Greendale Productions, IndustryWorks Pictures, James Clayton, Lesley Diana, Motorcycle Boy Productions, PR, press, publicity, Roseanne Milliken, Rusty Nixon, The Promotion People, Vancouver on April 10, 2014 by press. 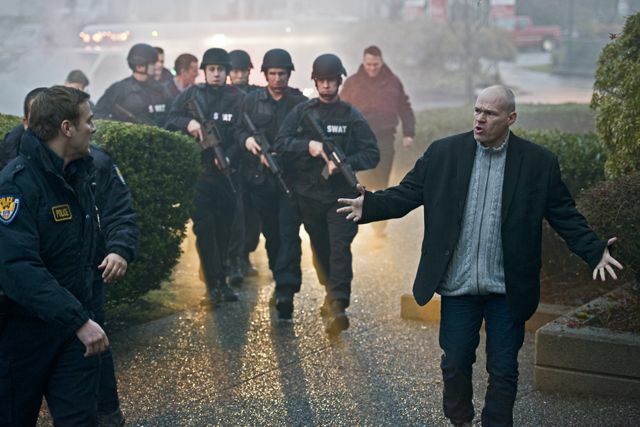 Amok II Productions Inc. is pleased to announce that controversial director Uwe Boll (Far Cry, Assault on Wall Street) is currently in production on ‘Rampage 2’ starring British Columbia born Brendan Fletcher (Rouge). Rampage 2 is the sequel to the original cult classic Rampage. The film is being shot on location in Maple Ridge. 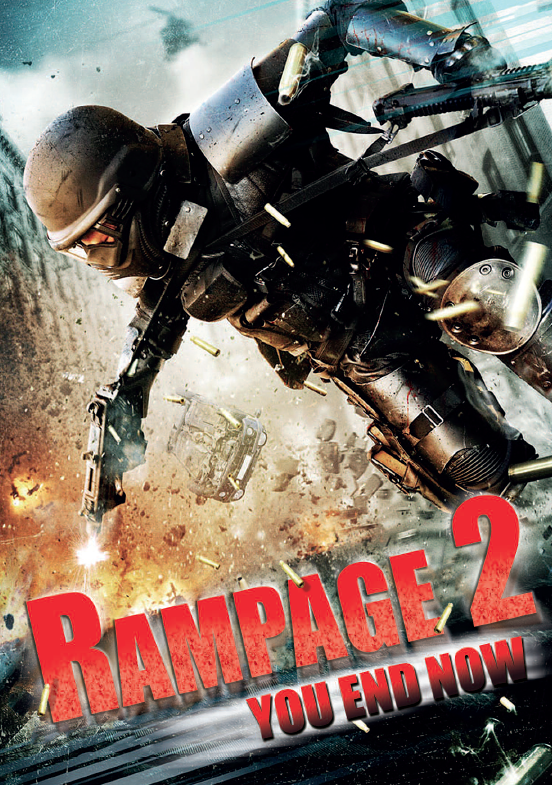 Written by Uwe Boll, Rampage 2 brings back the character Bill Williamson who, now outraged by the state of the nation, takes over a television station and holds a number of hostages. Rampage 2 is being produced by Natalia Tudge. The film co-stars Lochlyn Munro from Tomorrowland and Night of the Roxbury and Mike Dopud from the TV series Mistresses and Durham County. 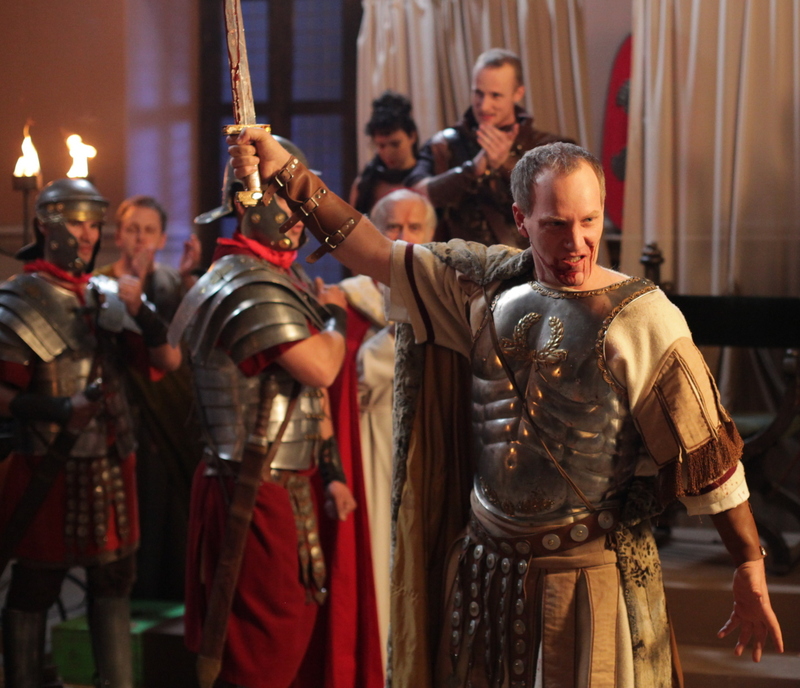 Writer and Director Uwe Boll is now calling Vancouver home having previously produced and directed over 35 feature films, most of which were filmed in Vancouver. Uwe’s body of work has continuously proven to be both controversial and diversely creative. Though he had a number of projects already under his belt, it wasn’t until 2003’s House of the Dead, based on the popular SEGA game franchise, that Uwe was brought to international attention as a prominent new figure in cult cinema. 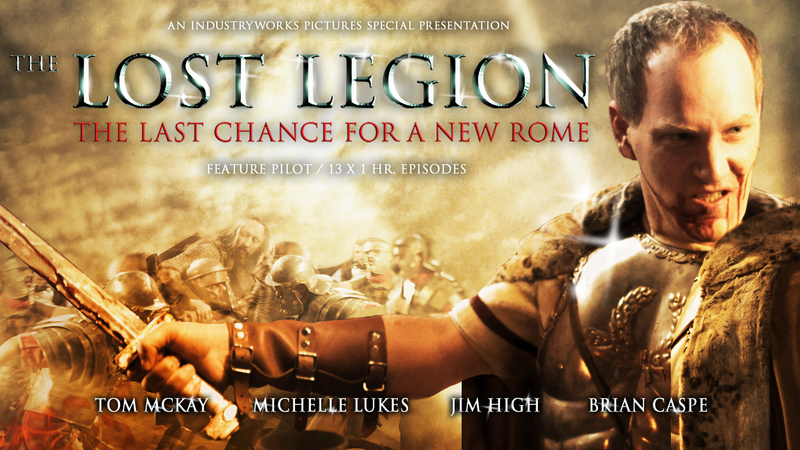 Most recently Uwe Boll has made various movies about political subject matters including ‘Auschwitz and ‘Tunnelrats’, ‘Attack on Darfur’ starring Kristanna Loken, David O’Hara and Billy Zane, and his most recent success ‘Assault on Wallstreet’ starring Dominic Purcell, Erin Karpluk, Edward Furlong and John Heard. This entry was posted in Brendan Fletcher, Lochlyn Munro, Rampage 2, Uwe Boll and tagged 2014, actor, artist, Assault on Wall Street, Athene Films, BC, blog, blogger, Brendan Fletcher, British Columbia, Canada, Christian Slater, cinema, director, Far Cry, feature film, film, firm, House of the Dead, Lesley Diana, Lochlyn Munro, Maple Ridge, Mike Dopud, Natalia Tudge, popular, PR, press, producer, production, publicist, Rampage 2, Rouge, SEGA, Tara Reid, The Killing, The Promotion People, Uwe Boll, Vancouver, video game on January 8, 2014 by press.